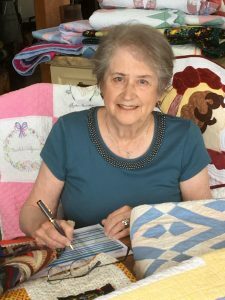 Diane looked at her long-time collection of vintage quilts and saw a way to give back to the community she loves. She began talking to friends about the possibility of creating an event to sell, raffle, and auction off her collection as a fundraiser for the High Prairie Fire District #14 and the High Prairie Community Center. The result is this Saturday’s festival. Will “direct sale” of the quilts start @ 9 a.m.? When will the “silent auction” start and end? The silent auction will start at 9 am as soon as the doors open and close at 5:15 pm. The raffle quilt’s drawing will take place at 5 pm. The Buy-it-Now will not start until 9:30 am to give some time for everyone to view the items before making purchases. Thanks for relaying this message.